There is some confusion around the sugar found in 100% orange juice. 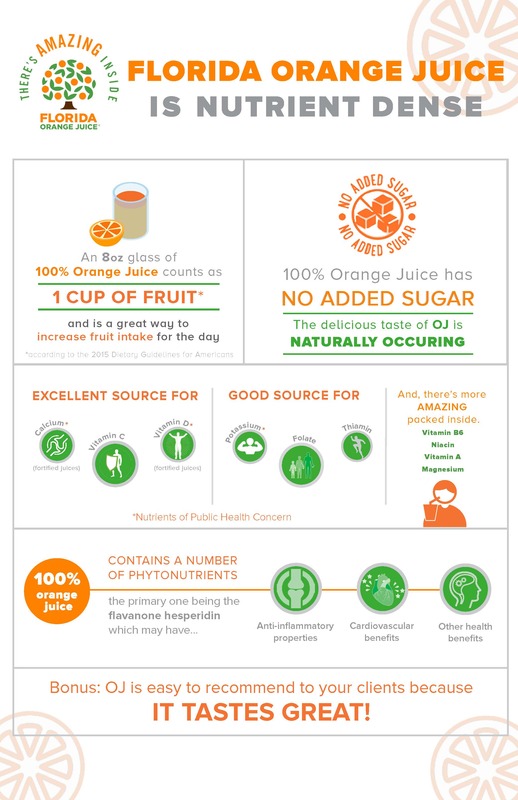 The reality: there are no added sugars, no added fructose, and no added sweeteners in 100% orange juice. The sweetness of orange juice simply comes from sugars that naturally develop in the orange as it grows on the tree. An 8-ounce glass of 100% orange juice contains approximately 21 grams of naturally occurring sugar and counts as a cup of fruit, according to the USDA Dietary Guidelines. The calorie level of all types of sugars – even naturally occurring sugar – is the same so it’s all about balance, moderation, and maximizing intake of vitamins, nutrients and other health benefits. 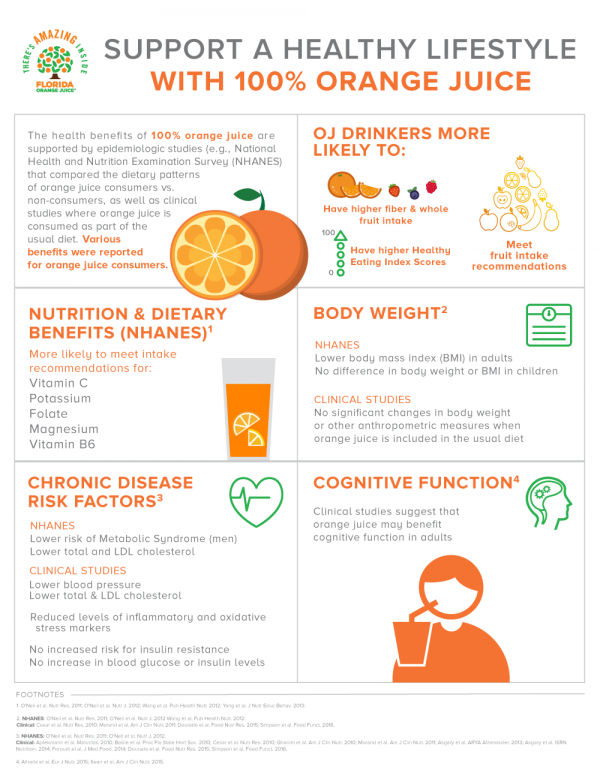 For instance, an 8-ounce glass of 100% orange juice boasts an impressive 137% of your daily recommended vitamin C intake, 11% of your daily folate and 14% of your potassium plus antioxidants. The same cannot be said for the sugar-sweetened beverages and candy bars that 100% orange juice is often compared with.